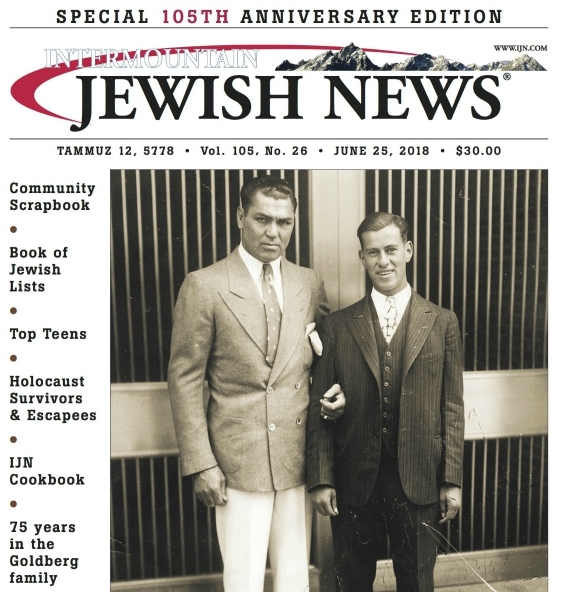 Antananarivo, Madagascar — A nascent Jewish community was officially born in Madagascar last month when 121 men, women and children underwent Orthodox conversions on the remote Indian Ocean island nation better known for lemurs, chameleons, dense rain forests and vanilla. Beginning on May 9, members of the community came before a beit din, or rabbinical court, convened for the occasion at the Le Pave Hotel here, the Madagascar capital. The court comprised three rabbis with Orthodox ordinations: Rabbi Oizer Neumann of Brooklyn, Rabbi Achiya Delouya of Montreal and Rabbi Pinchas Klein of Philadelphia. All three belong to a group of rabbis who serve far-flung Jewish communities and support converting emergent Jewish groups. The conversion process included periods of intensive Torah study, interviews by the beit din and full body immersions in a river located a 90-minute drive away from Antananarivo. A privacy tent was hastily erected beside the river for the occasion, and a festive atmosphere ensued as men, women and children, ranging in age from 3 to 85, lined up to take the ritual plunge. Additionally, the Madagascar men, who are already circumcised, underwent hatafat dam brit, or ritual penile bloodletting, to affirm their new faith. Even Prince Ndriana Rabarioelina, a descendant of the Merina monarchy of Madagascar, proudly asserts Jewish ancestry. He told JTA that up to 80% of Malagasies can claim Jewish roots. He asserts that portions of the tablets, Moses’ rod and a copy of the Book of Daniel are safeguarded by descendants of Levites in the Vatamasina-Vohipeno region of Madagascar. Madagascar, a country of 20 million people, is awash with missionaries. Some 50% of the population practices some form of Christianity, while most of the other half practices an indigenous animist faith in which ancestor worship features prominently. Approximately 7% of the population is Muslim. While many Malagasies were brought to Judaism through study of the Torah and a sincere effort to get closer to G-d, some see the practice of Judaism as a return to their roots and an overthrowing of the last vestiges of colonialism. “I was a victim of the colonizers, as you know we had the French here, and then the communists and then the socialists . . . so I didn’t have any roots anymore,” said Mija Rasolo, an actor who hosts his own late night talk show on Madagascar TV and took the Hebrew name David Mazal. Ashrey is a former pastor and singer who works as a pastry chef by day and is famous throughout Madagascar for his television cooking show. His father is also a famous Malagasy singer. He favors a more liberal version of Judaism, leads a congregation of about 25, and conducts radio broadcasts on Jewish topics and religious practices. Peteola, a computer programmer, conducts Hebrew language lessons and religious radio broadcasts. He has a following of about 30 and favors a mystical approach to Judaism. He teaches Torah concepts with Gematria, through which meaning is derived from the numeric values of Hebrew letters. All three have set up makeshift synagogues in their living rooms, while some prayer services are also held in a space provided by the English Language Institute. Services are generally held at Touvya’s house, which is large enough to accommodate most community members. Getting there can sometimes be problematic because not everyone lives within commuting distance of the home. Most Malagasies rely on their feet or bush taxi (taxi brousse) for transportation. Inevitable congregational differences have also arisen. The move toward conversion was spearheaded by Ashrey, who functions as president of the Jewish Community of Madagascar, which is also known as Sefarad Madagascar. Ashrey thought conversions would bring legitimacy to the group as well as greater ties to world Jewry. The conversions are an ironic twist of fate, occurring around the 76th anniversary of the Madagascar Plan. Launched by Nazi Germany on June 3, 1941, it was conceived as an alternative method to achieve the Final Solution by deporting European Jewry to Vichy-controlled Madagascar. Most were expected to die en route, succumb to disease or be massacred without international oversight. The plan was never implemented. Instead, decades after the Holocaust took the lives of six million European Jews, one pocket of the African nation has become a place of Jewish rebirth.